For this blog, one of our FCLF website bloggers/editors is sharing her experience of entering and working in the construction industry. 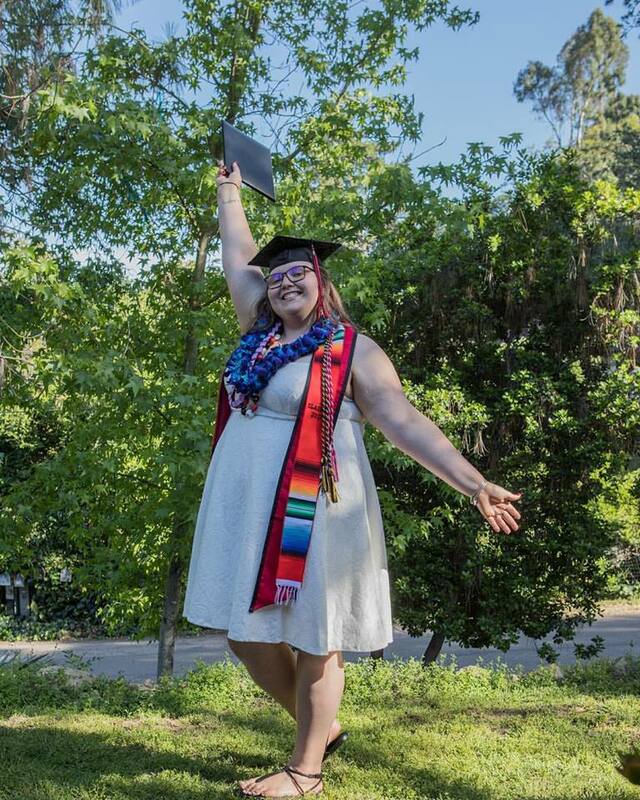 Helen graduated with honors from San Diego State University in the Spring of 2017 and she works as a Project Assistant for Dynalectric San Diego; this is her story. I am a woman, I am college educated and I am in construction. I was born into a middle class, blue-collar family where I was continuously told from a young age that I could be anything I wanted to be. When I was in high school, I was coached into the ideology that I would find success in life if I went to college and earned a degree. When I was in my junior year of college I realized that success would come as long as I was willing and ready to work hard for what I wanted. Throughout my four years of school, I supported myself by working full time as a material handler for a large electrical contractor. Thanks to hard work and dedication, every year came with more responsibilities, from work and from school, but I didn’t shy away from them. From the get go, I knew that I was probably never going to be one of the guys at work, and I knew I wasn’t going to be able to relate to a lot of the students I was going to school with, but I decided I needed to make sure my voice was still heard in order to get the most out of my career and my education. Being a woman, even in today’s current progressive society, isn’t always easy. When silence is seen as compliance and opening your mouth is seen as feminist ranting, it’s easy to feel like you’re always walking on eggshells. Eventually, you get to a point when you realize, the eggs are cracked already, why not crack them a little more? I’ll never forget the first time I cracked the shells. I was helping an old school journeyman because he needed some material that was boxed up and he couldn’t open it himself for some reason. I took out my Kershaw and he quickly said, “that’s scary!” and I asked him, “what?” and without hesitation he replied, “a woman with a knife.” Without thought, without question I replied, “at least I know how to use one.” He was shocked. He didn’t know what to say and I walked away feeling empowered. After that day, I refused to be silent anymore. I refused to be, “the girl in the shop,” I was Helen; I was capable of doing anything and everything my male counterparts could do. I stripped wire, I used tools, I drove the trucks and operated heavy equipment. I had a voice, a loud one at that, and I was going to be heard. My newfound voice ultimately made me a better student. I stopped agreeing with everything my professors and classmates said. I began debating and using my life as an example; in the end, I would like think I helped others too. I helped other students realize that there were other ways of thinking and it was okay to bring something new to the table. I helped my peers realize that their opinions and voices could and would make a difference. When I graduated, I had the option to enter an upwards of six different career fields and I chose the one I didn’t get a degree in. I chose construction because in finding my voice, I found my purpose. I found a drive to build things, from digging the hole to cutting the ribbon. I developed a love/hate relationship for the constant challenges that I have and will continue to face when working as a woman in a male-dominated industry. I found purpose in laying a foundation for more than just myself. In my working life, I may never see a construction industry that is a 50/50 ratio of women to men, but I can help lay the ground work for more young women to find their voices and their passions within construction. Generations and generations of women in construction dug the hole and poured the foundation for women like myself to have a place in the industry if I chose it as a career. It’s my turn now to work with the rest of my generation to build the stairs and help take women in construction to the next level. I am a woman, I am college educated, I am in construction and I WILL be successful.